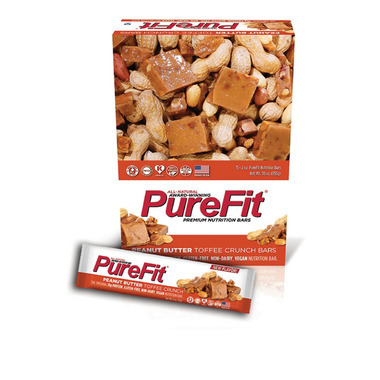 PureFit bars are an integral part of The PureFit Fat-Burning System. It provides many of the nutrients and calories you need to round out your PureFit diet. 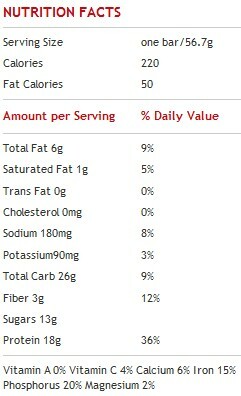 And it does not contain harmful ingredients found in virtually every nutrition bar on the market. ALLERGY INFORMATION: Contains Peanut, Soy. Manufactured in a facility that also manufactures milk, egg, and tree nuts. I've been buying these for almost a year now and they are my favourite. Taste great and have a lot of calories and protein jam packed into them which is what I look for. Smooth consistency and peanut butter taste with a but more sweetness from the toffee. not bad, not my favorite flavor though. Did not really enjoy the taste of these bars at all. I was looking for a bit more crunch.